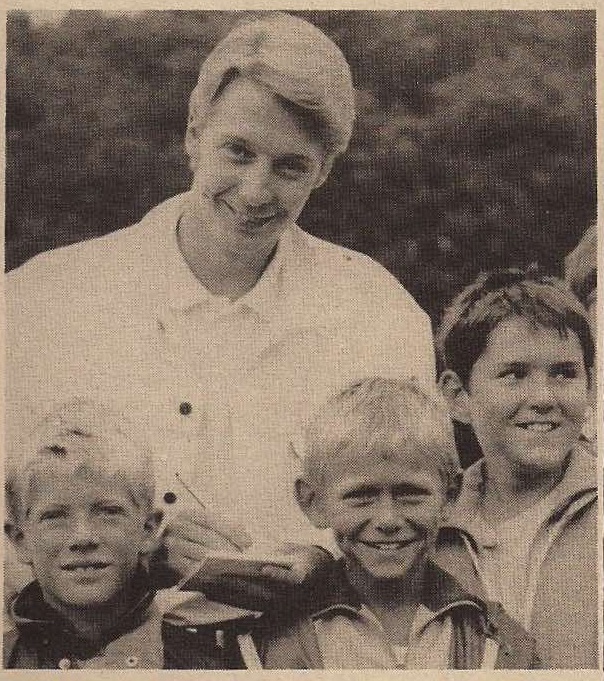 CHILDREN'S television star, Andy Crane. was kept busy at Southwell Show signing autographs for youngsters who paid 25p for charity. He spent more than an hour posing for photographs and signing autographs for hundreds of children who flocked to see him.